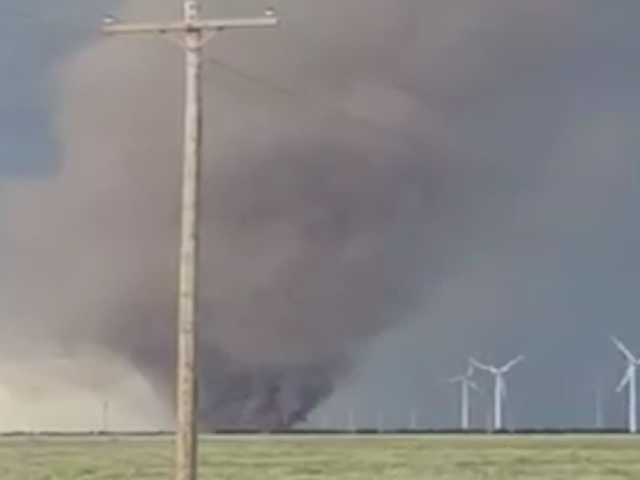 Three tornadoes were reported in Logan County, Colorado on Monday afternoon, according to the Logan County Office of Emergency Management. 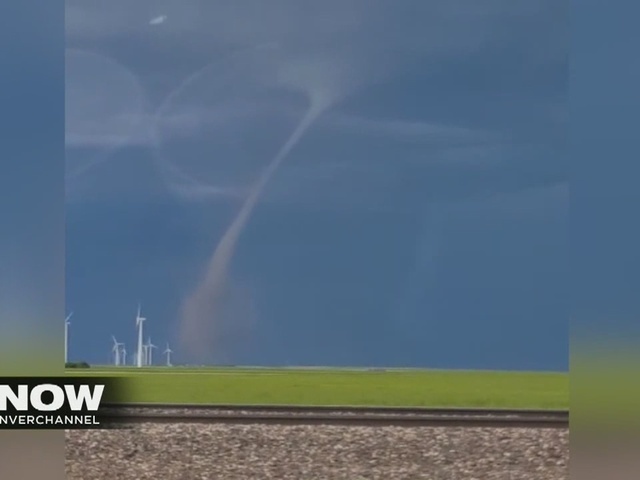 The National Weather Service issued a tornado warning in northwest Logan County at 2:19 p.m.
Video from Heather Witt showed a tornado on the ground near a wind farm, near Peetz, Colorado. Peetz is about 150 miles from Denver, near the Colorado-Nebraska border. "That tornado destroyed a barn in the area and ripped off the front door to a residence," the Logan County Sheriff's Office said in a news release. "Power poles were also damaged, causing power outages." Ashley Kennedy told Denver's KMGH-TV she lost power, but doesn't have any damage at her home.